Wotts Mercy, 26, and her 17-year-old sister, Sarah Fertil (right) cozy up on a couch during Thanksgiving. As many plan to celebrate the holidays this week with friends and family, there are at least three thousand Haitians in Collier County for whom this could be their last holiday season in the United States. That’s because they are in the country under Temporary Protected Status, or TPS, which is set to end in July of next year. 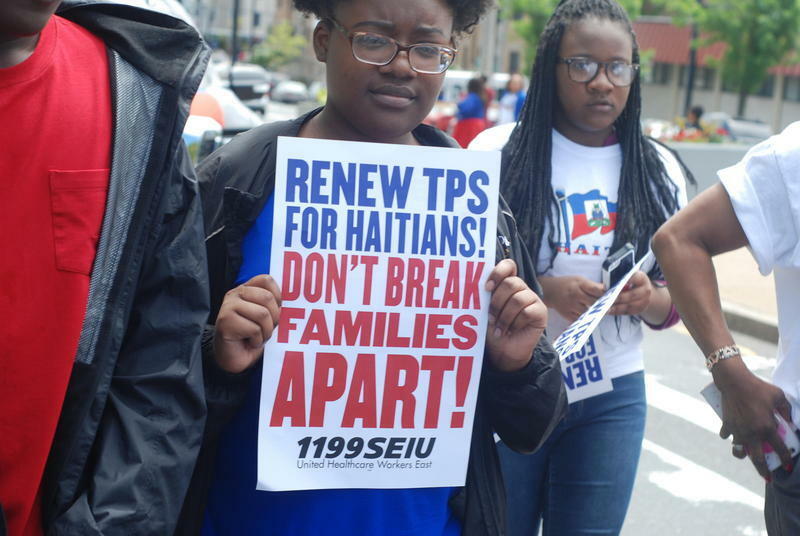 TPS is a status given to people who come to the U.S. from countries that have become destabilized through war or because of things like natural disasters, like the 2010 earthquake that devastated Haiti. In our continuing project: Where is home- Haitians Counting Down, we introduce a 26-year-old woman who resides in Collier County, that is dealing with the looming deadline. Wotts Mercy spent this past thanksgiving as many others did: with loved ones. But she couldn’t help but think about her future. “I’m like, "I wanna experience a lot more." It’s kinda like a person living out their last year or their last 8 months on earth and these could be my last moments of luxury in a way." Mercy said. "In Haiti you don’t have the luxuries that we have in America. Even though they are small--which is clean clothes, clean water, bathrooms that run, a pool that's outside right now. These aren’t things that I take for granted." Mercy's mother brought her to the United States from Haiti when she was just four years old. By the time she was 12, her mother was deported back to Haiti. With some help, Mercy was able to receive Temporary Protected Status in 2011, when she was 19. 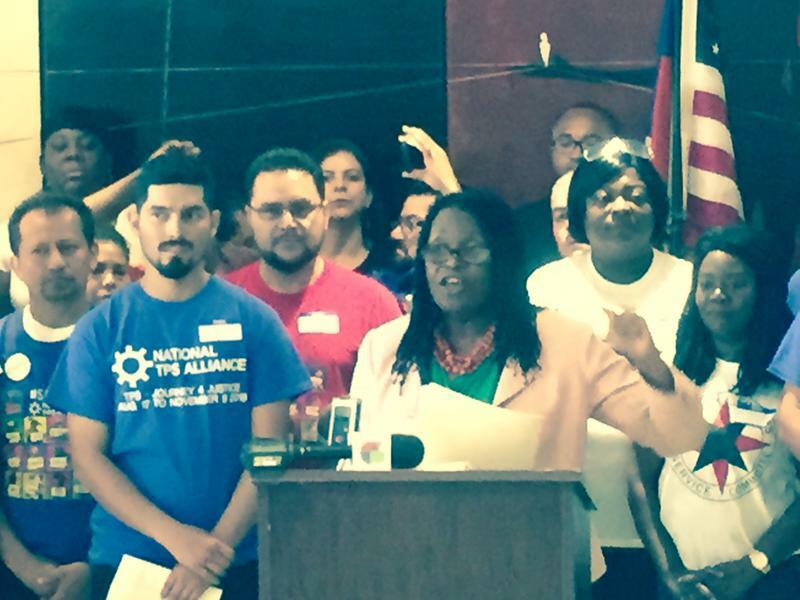 While her TPS status allowed her to work and get a license—the “temporary” part of her legal status was something she always had in the back of her mind. The uncertainty of her life has lead her to embrace the unknown, and she has even come to see beauty in not knowing what’s next. TPS for Haitians was originally set to end earlier this year, in January. “I was preparing my sister, I was preparing to move, I was preparing to leave her with good people that she could keep going to school with," Mercy said. "Because I never want to stay here illegally, it's just not who I am. I talk too much to ever do that and I think I have way more potential than to just live in the shadows." The January deadline was moved, but Wotts said her main concern was for her U.S. born 17-year-old sister, over whom she has power of attorney. "That’s what I had prayed for," Mercy said. "I was like: God, just allow Sarah to graduate so that she doesn’t have to worry about anything, then she’s kind of like an adult and she’s 18 and she can do things on her own. " Now, TPS is set to end for Haitians in July, which means Mercy will get to see her sister graduate from high school this spring. Mercy said she doesn’t dread the future. “I think that I still have a lot of purpose in my life I don’t think god bring us this far, just to drop us," Mercy said. "And so whatever happens, whether I’m here or I do move back to Haiti, or I move to a different country, I pray that I can live out my best potential." Mercy has set up roots in Naples, where she has friends and an apartment. But she says her thoughts are with TPS recipients that have invested their lives in the U.S..
“I don’t have a husband, I don’t have a house, I don’t have children here that need me," Mercy said. "But my heart goes out to those people that do have that security here. Their children don’t know anything else and they may have to leave them. And those are the people that I tell my story for." Mercy said she worries for others who have more to lose when they are sent back to Haiti or other countries. She said these are people who may never have their voices heard. “Who are those people that don’t have my story," Mercy asked. "Who are those people who just have a family in a trailer in Immokalee? Or, they’re working in the fields and they’ve built their lives here—the little life that they do have?" As for her life, Mercy said that for now it’s all about spending time with the family and friends she has in the United States during this holiday season and for the next six months.